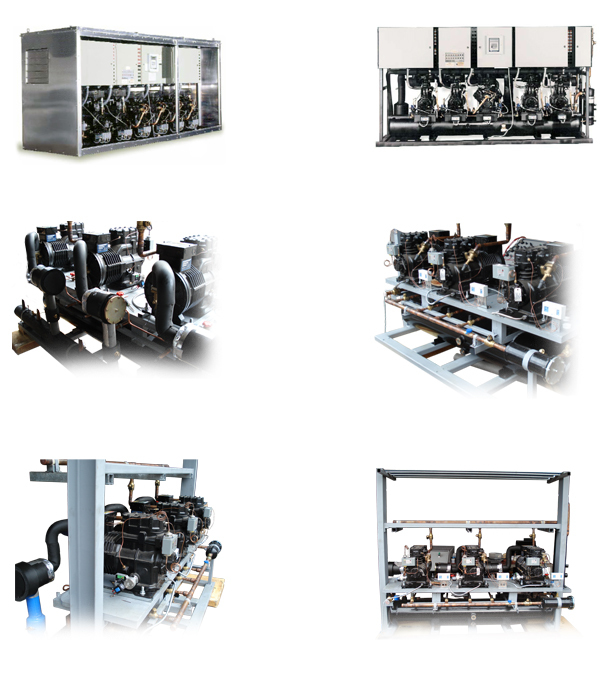 Parallel Compressor system using any type of compressor preferred by client. Compressor options: Semi-hermetic, Hermetic, Screw, Scroll, etc. Refrigerant options include R-22, R-404a, R-507. Designed for medium and low temperature application up to (-30oC). Applications include Supermarkets, Warehouse Cold Storages, Processing Plants & more. Reliable & Durable compressors for all systems. System includes customized electrical control panels. Outdoor Housing also available as an option.